Pittsburgh Underground: Artsty Fartsy: Pittsburgh Puppet-fest begins TODAY!!! Artsty Fartsy: Pittsburgh Puppet-fest begins TODAY!!! Greetings gang! This week for five straight days Pittsburgh will be hosting four puppet-centric events around town! The first event kicks off tonight from 5:30 to 9PM where the locally produced These Aren't Your Kids' Puppets! takes over Carnegie Museum of Art's monthly Culture Club happy hour. This 'puppets for adults' event is lead by Pittsburgh-based puppeteer Tom Sarver, who participated in Polish artist Paulina Olowska's performance Museum Piece (For Margo Lovelace) during the opening of the 2013 Carnegie International. Join Sarver and original cast members Kristen Barca and Joann Kielar for a reprise of Museum Piece. Travel back in time and place to the birth of Dadaism during Sarver's new show, Flight out of Time, which features fellow puppeteer Mike Cuccaro. Chat with Culture Clubbers about what makes puppets fascinating, and create an original puppet for the stage. Admission: $10 (includes one drink ticket). The fun continues on January 18th (8 p.m.) and January 19th (2 p.m.), for the Pittsburgh debut of Heather Henson's Flight: A Crane's Story. Taking place at Charity Randall Theatre in Oakland, this brand new environmental spectacle is the brainchild of IBEX Puppetry, the company run by Jim Henson's youngest daughter. 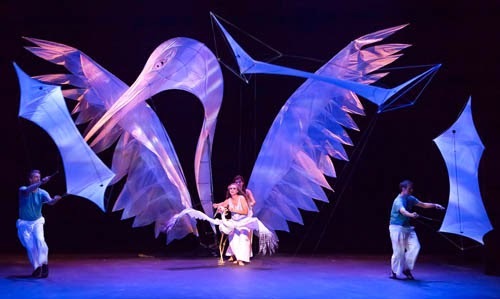 Exploring nature's mysteries and the cycle of life on Earth via the story of a crane named Awaken, the interactive performance uses puppetry, kiting and music from indigenous North America. Theater-goers will watch as environmental changes brought about by human activity force Awaken's family to abruptly depart for their annual journey south. Suddenly orphaned, the young crane must learn to fly, navigate and migrate amidst windstorms, directional loss and loneliness. Experience Awake's journey from adolescence to adulthood, as she encounters Mother Earth, receives ancient Turtle Wisdom, finds her inner compass, and rejoins her family. Admission: $8-$25.Check this Brian Edward interview out with Heather Henson courtesy of 'Burgh Vivant. Wrap up your week of puppet wonder on January 20th at Puppet for Kids, held in conjunction with Carnegie Museum of Art's ARTventures: 2013 Carnegie International Family Day. Explore the playful side of the International with engaging artmaking, a self-guided gallery hunt and engaging performances. At 11 a.m., noon and 1 p.m., storyteller Alison Babusci will perform Peace Tales and other stories in the galleries. 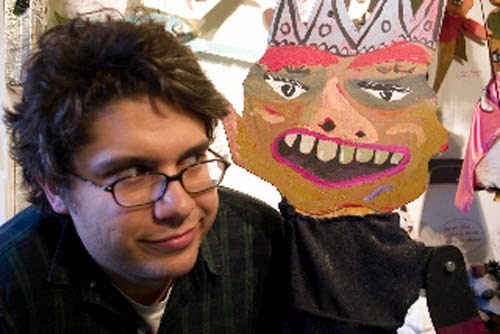 At 11:30 a.m., 12:30 p.m. and 1:30 p.m., puppeteers Tom Sarver and Mike Cuccaro of The Puppet Happening will host a chat with puppets about works of art featured in the exhibition, and will perform stories from the Middle East, Africa and the US. Free with museum admission.